The Kenan Science Library Research Hub supports innovation, entrepreneurship, and making as part of UNC Libraries’ Research Hub. Need in-depth assistance with your research in science, innovation, entrepreneurship, or making? Schedule a consultation with a subject expert: Request a Consultation. 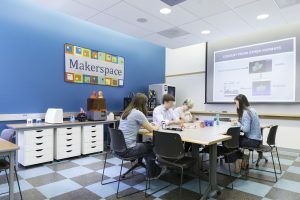 The Makerspace@Kenan Science Library is equipped with 3D printing, 3D imaging, electronics and soldering, and sewing machines and also features a design and modeling center and a virtual reality design studio. 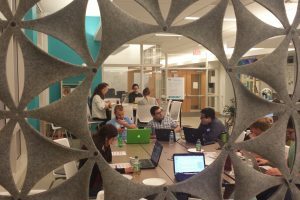 There are seven reservable spaces: four group work rooms with monitors or an overhead projector, two co-working spaces with monitors, and a “huddle” brainstorming space. 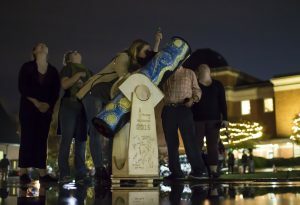 Arduino kits, Rasperry Pi kits, and a telescope can be checked out of the library for three days. Various equipment and software is also available for use while in the Kenan Science Library.